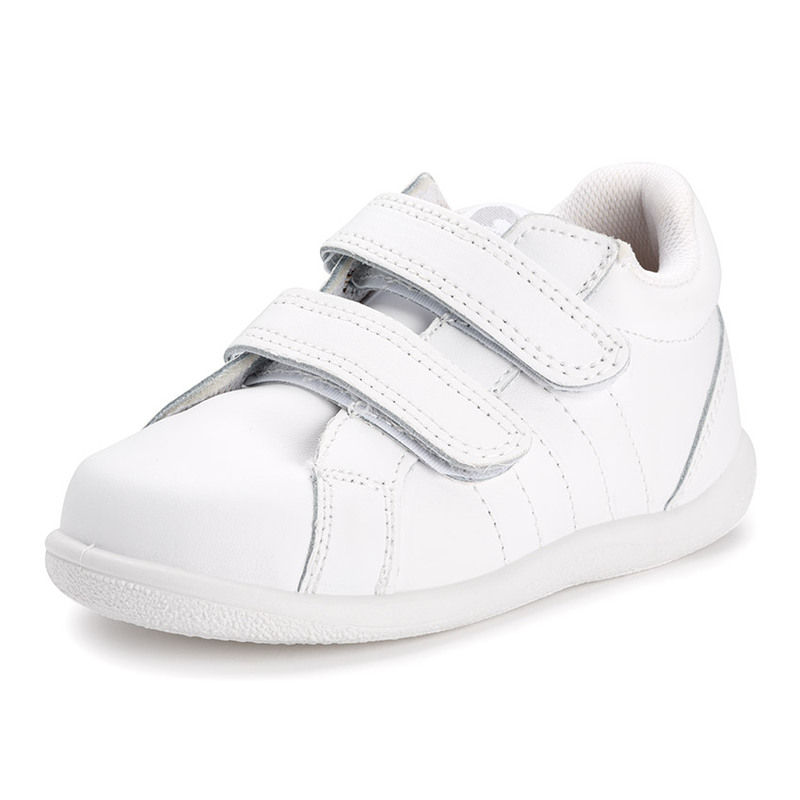 The perfect sneakers to keep up with the hectic pace of the younger kids, designed to be used in school or nursery activities, camps, etc. 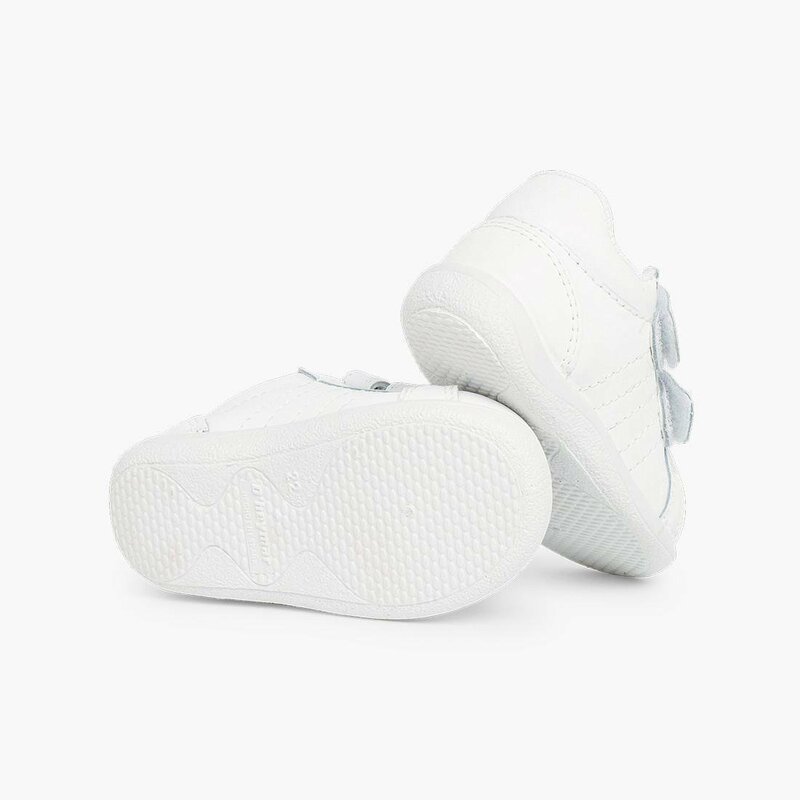 These sports shoes are manufactured in Spain with quality leather just like all Pisamonas footwear, and they are washable and resistant. 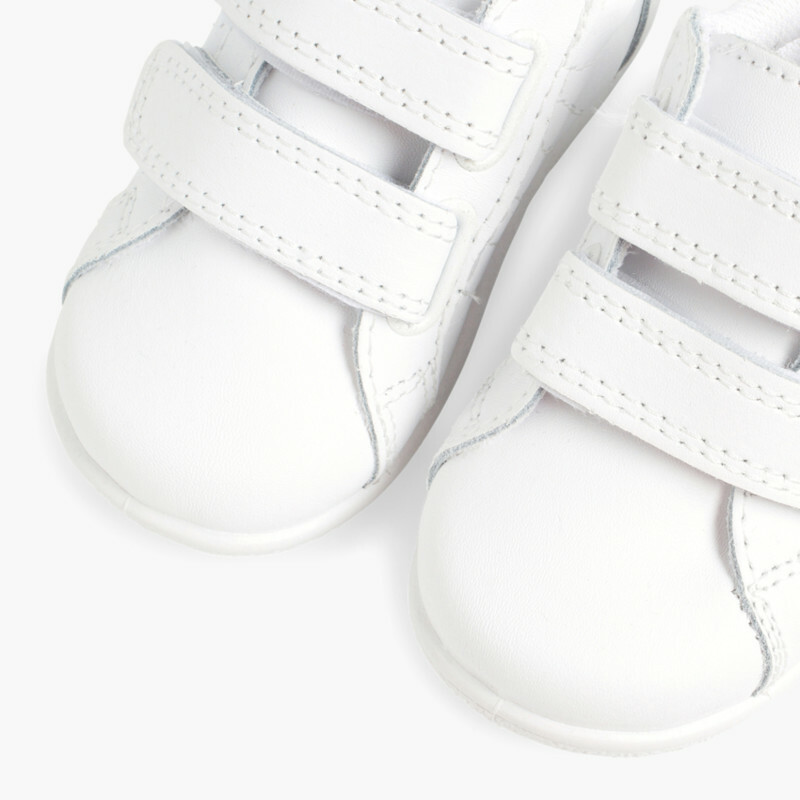 Trainers for Baby & Toddler sizes: from 3 Child (EU19) to 9 Child (EU 27). 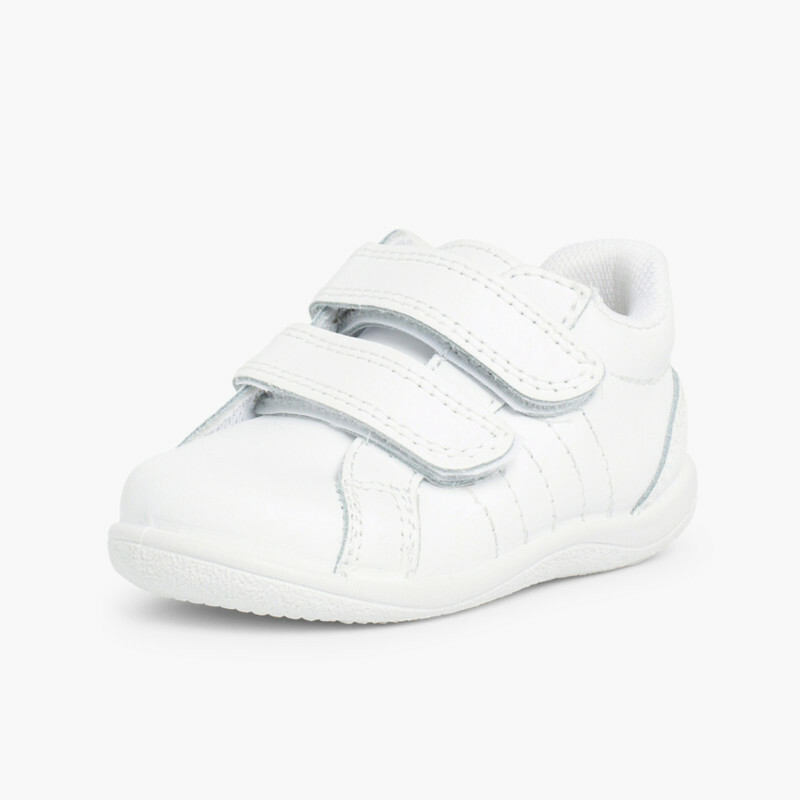 Also available in kids sizes: 10 Child (EU 28) to 6 Adult (EU 39). NOTE: The measures in the table below are for this particular model and its shoe insole. 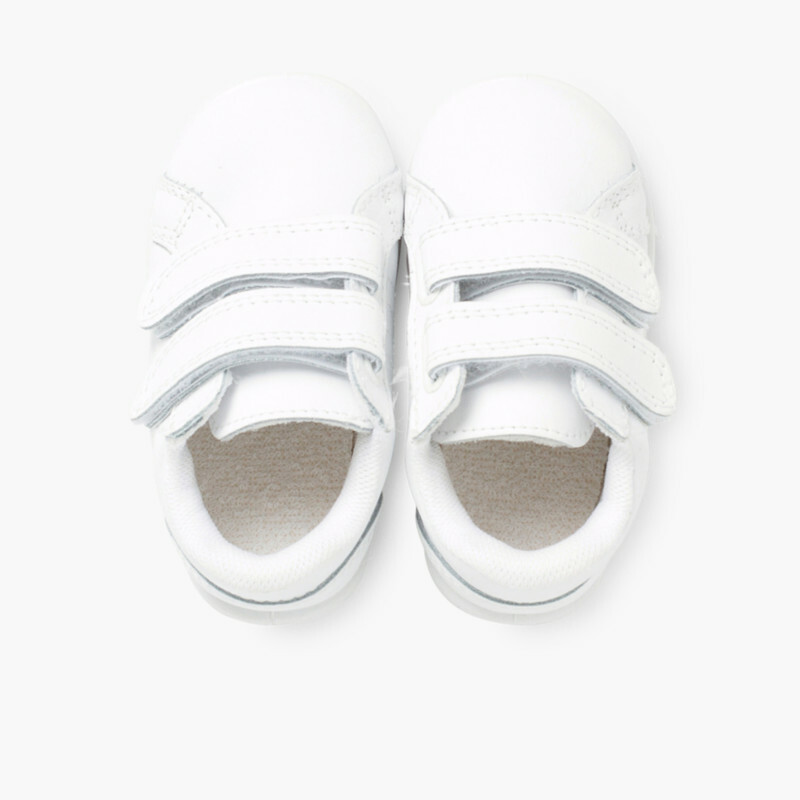 You can compare with the child's foot measurements or other shoe insole you may have. Not to compare with the outsole..
To keep them in a perfect state, deal with any marks with a damp cloth. As they’re leather, you can use white shoe polish to sort out any scratches. 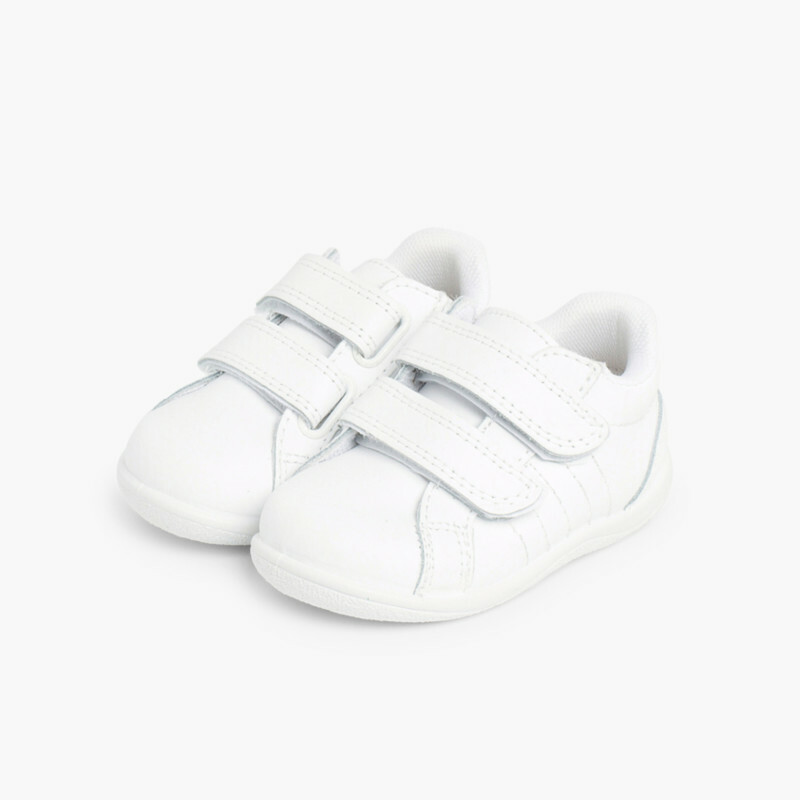 Made in leather with a rubber sole and a fabric inside lining, these trainers will protect, take care of and cushion your baby’s feet from those common bumps. 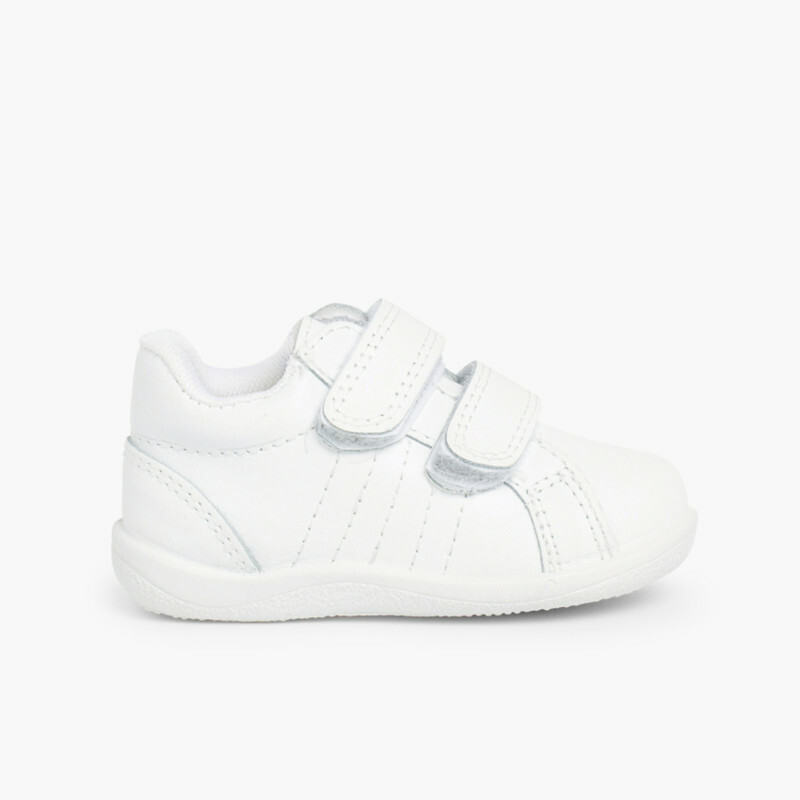 These trainers for the smallest members of the family are perfect for nursery, school, and for learning any sport thanks to their simple velcro straps and the fact they’re white, meaning they're neutral and easy to match!